Prior to implementing SAP Fieldglass, this technology and industrial manufacturing company managed its contingent workforce program with manual, time-consuming processes. With a large light industrial workforce, the organization was processing almost 30,000 contingent labor invoices in the U.S. every year. 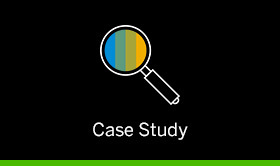 The SAP Fieldglass external workforce management system helped reduce costly and time-consuming invoice errors and improve its overall program.